On December 11th, 2017 n-Space announced on the game’s Steam page and Twitter account that Sword Coast Legends would be removed from sale on December 31st. The post explained that the Dungeons & Dragons publishing contract had ended, requiring the game to be taken off of sale. The announcement also added that “multiplayer servers will remain live for an indefinite, unspecified, amount of time”. On May 25th, 2018 n-Space defined that amount of time by confirming that multiplayer servers for the game would be taken offline on July 25th, 2018. The PlayStation 4 and Xbox One versions most likely followed the same timeline; being removed from sale at the end of 2017 and having their servers shut down in July of 2018. As stated, the game’s offline content and single player campaign remain accessible to those who had already purchased the game. 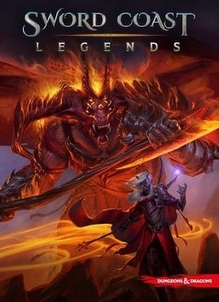 “Set in the lush and vibrant world of the Forgotten Realms, Sword Coast Legends offers an all-new way to enjoy the time-tested magic of playing Dungeons & Dragons as a shared storytelling experience. Dungeon Master Mode: Quickly create adventures to share with your friends, and even enhance other players’ experiences in real time as the Dungeon Master.